“That assertion was repeated in the Tory manifesto. I believed that the Government was sincere in making that claim, and I believed that the PM genuinely had the 29th of March inscribed in her heart. She repeated her commitment to coming out – deal or no deal – so often that I trustingly assumed that she meant it,” he added ruefully. Indeed, the prime minister promised to honour the March 29th exit date at least 108 times from the despatch box of the House of Commons — but ended up asking the EU for an extension anyway, despite the great majority of her own MPs and the allied Democratic Unionist Party (DUP) voting against a delay. More Tories voted against an Article 50 extension than voted in favour. 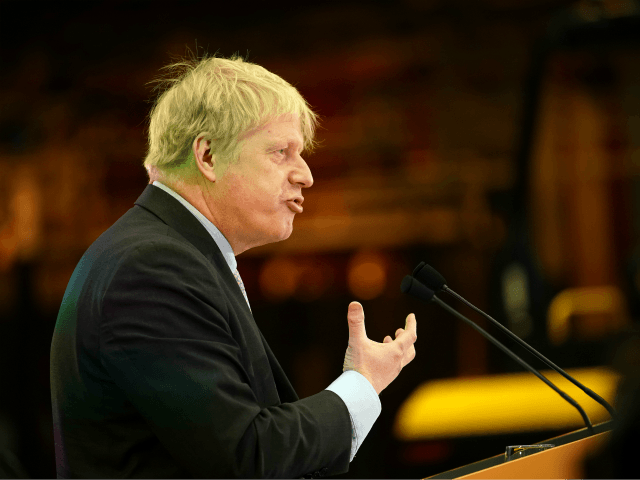 Johnson indicated his regret that his expectation that, if her deal could not pass, the Prime Minister “would simply enact the mandate of both parliament and people” and leave the EU with no deal, had turned out to be false. “We have blinked. We have baulked. We have bottled it completely. We have now undergone the humiliation of allowing the EU to decide the date on which we may make our own departure. It is the EU that is now insisting that parliament must vote – for a third time! – on its Carthaginian terms,” he railed, being at pains to recount all the reasons Mrs May’s deal is unacceptable. He indicated, however, that he would nevertheless be willing to support it — provided the hated backstop, widely regarded as undermining the United Kingdom’s territorial integrity by allowing the EU to annex the Province of Northern Ireland for customs purposes — in hopes the so-called “transition period” it entails could be used to hammer out a more desirable UK-EU trade agreement. “There is only one plausible argument why we should now vote it through – and that is that every other option is now worse,” he observed. On Monday night the House of Commons will hold “indicative votes” on how to proceed with Brexit — leaving the EU with no deal, negotiating an even weaker form of Brexit than the one envisioned in Mrs May’s deal, holding a second referendum, and more.